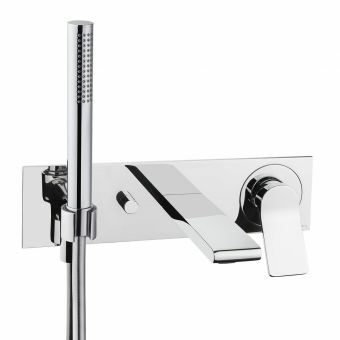 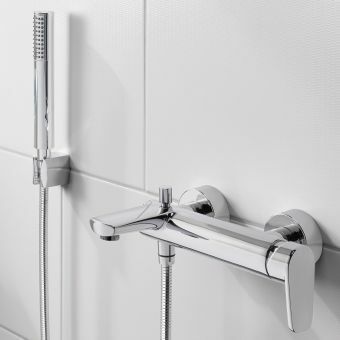 Suitable for both high and low pressure systems, the Matki New Elixir Cross Handle Concealed Valve with Slide Rail is beautifully designed and a great choice for your bathroom. 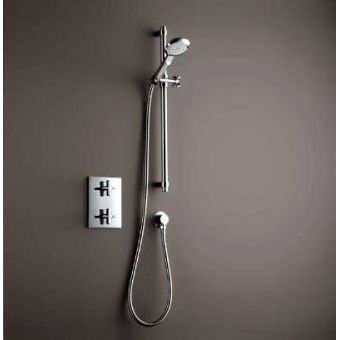 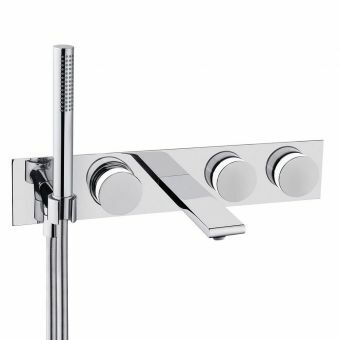 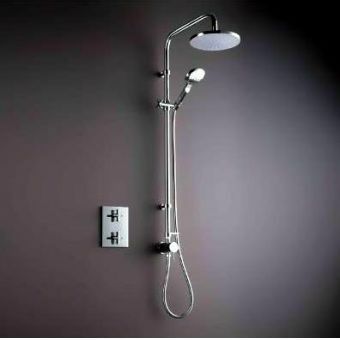 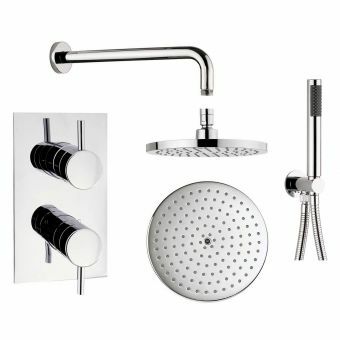 Included is a concealed thermostatic shower mixer with a sleek design that provides sensitive and accurate temperature control. 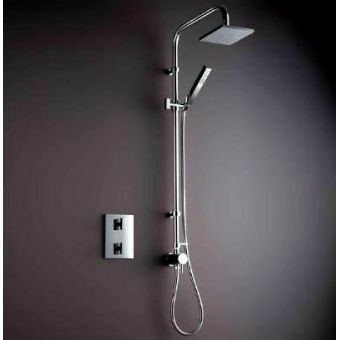 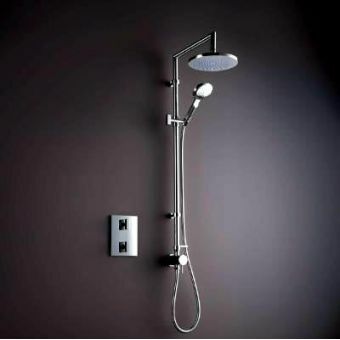 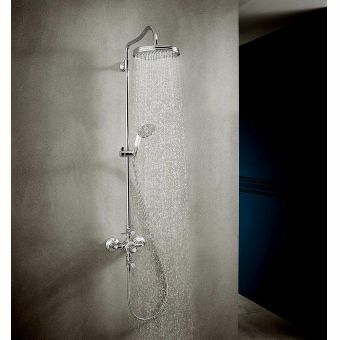 With the shower head on a 900 mm slide rail, adjusting the height of the shower head is quick and easy. 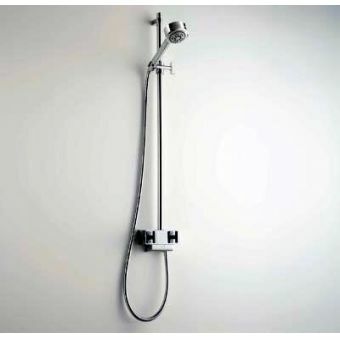 The easy clean soft spray hand shower is connected to a double spiral flexible hose. 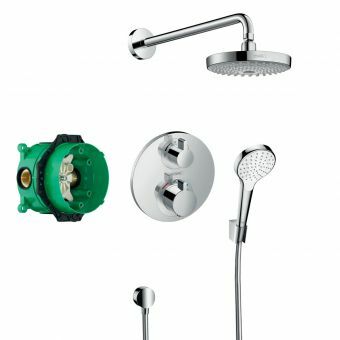 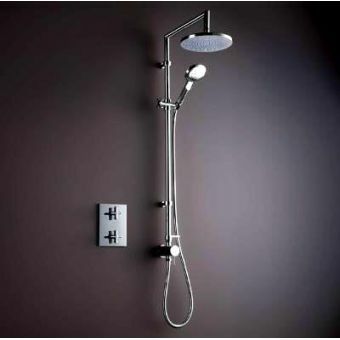 Maximum temperature control on this all-in-one shower system comes pre-set to prevent water that is too hot. 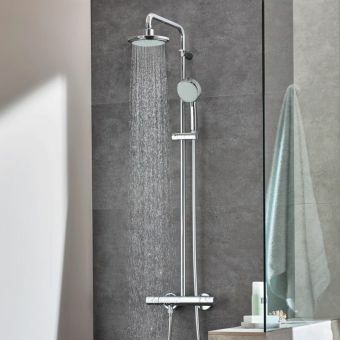 This New Elixir design complements any of the Matki showering collections perfectly. 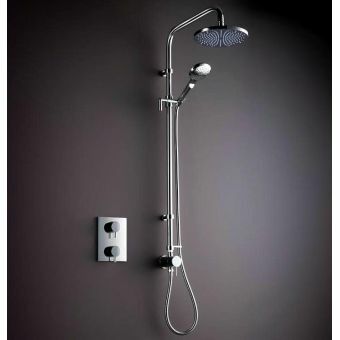 Overall, it's a beautiful design that is not only functional but will fit easily into rooms with contemporary designs. 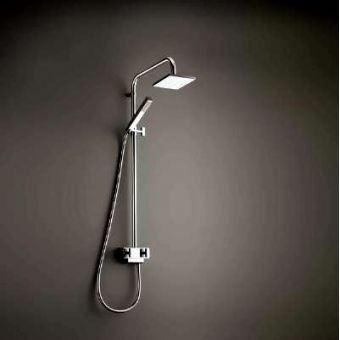 Matki New Elixir Linear Design With Curved Wall Assembly.